I’ve lived in London for fifteen years now. I feel so old when I say that. One of the main reasons for choosing London as my home is because of its great connections to explore Europe and beyond. I always jump to booking a trip abroad and rarely look at destinations closer to home. It’s kind of crazy considering there are so many coastal adventures less than 90 minute drive from my front door. Wether its Sussex or Kent, the English landscape is incredible during the summer. We headed off to St. Margaret’s Bay Holiday Park in Dover last week as part of Parkdean Resorts Coastal Adventures campaign. St Margaret’s Bay is just a few minutes’ drive from central Dover and is a great hub for anyone wanting to explore the area. We didn’t stay at the park itself because we live so close, but we did fit lots in to the day trip. There are so many things to do in Dover. Most people think of the ferry to France when they hear the word ‘Dover’. However if one looks to the left and right as they are boarding, they will see some jaw dropping landscapes right at home!We left London at around 8am on Sunday morning. There wasn’t many people on the roads at that time despite it being school holidays. We put the White Cliffs of Dover into the sat nav as our first destination. It only took an hour and a half. The White Cliffs of Dover are part of the National Trust. It only costs £4 per adult. Once we parked up, we set off on our walk. The paths through fields of barley and rolling green hills along the way are fabulous. With a backdrop of a clear blue sky, it made for a perfect photo. That’s before the majestic cliffs are in site! A good pair of walking shoes and a backpack carrier for little ones is probably a good idea. It’s not a stroller friendly walk. The cliffs reach a height of 350 metres. The pristine white face is a geological wonder. In the simplest terms, the white comes from the skeletons of tiny algae from millions of years ago. Once upon a time the UK and Europe were connected. Over millions of years rock formations separated and it was the combination of the algae and other bottom-living creatures that deposited a white sediment in the rock face. It’s fascinating for little one that love their geography. As we meandered around the cliff edge, we could see the stunning white. It was hard to believe the colour is completely natural. We took a chance to sit and take in the views. There is plenty of open space for the kids to play set back from the cliff edge. We put a picnic blanket down and had some morning snacks. It was so lovely, not to mention an incredibly warm summers day. There’s very little shade, so it’s worth having suncream and sun hats for little ones, as well as a big bottle of water. The walk took around an hour all up. Besides from the cliffs themselves, I was in love with the array of wild colourful flowers, they were just stunning. By the time we were finished our morning at the White Cliffs of Dover, we were all getting peckish. We knew we wanted to see the Dover Castle so we made a bee-line for their NAAFI restaurant. Based inside an old soldiers station, the building is pretty cool in itself. They have a great big canon with intricate design and a pile of artificial canon balls for diners to see whilst they eat. Typically, our little boy had his eye on the canon balls! Once we were fed and watered, we made our way up the hill to explore the castle. We didn’t get too far before the kids spotted an amazing sand castle workshop. 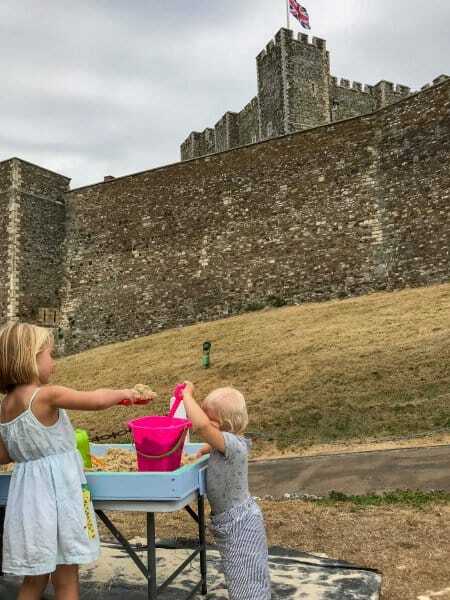 English Heritage but on all sorts of activities for families throughout the summer months, and this year they are teaching families how to make detailed sand castles. It’s a little like a ‘still’ art class because the real castle is right there to take inspiration from! It’s suitable for little ones that have good listening and attention skills, so I’m guessing five years old and up? Our two kids preferred the toddler area where they were free to make their own masterpiece. We spent ages playing there! 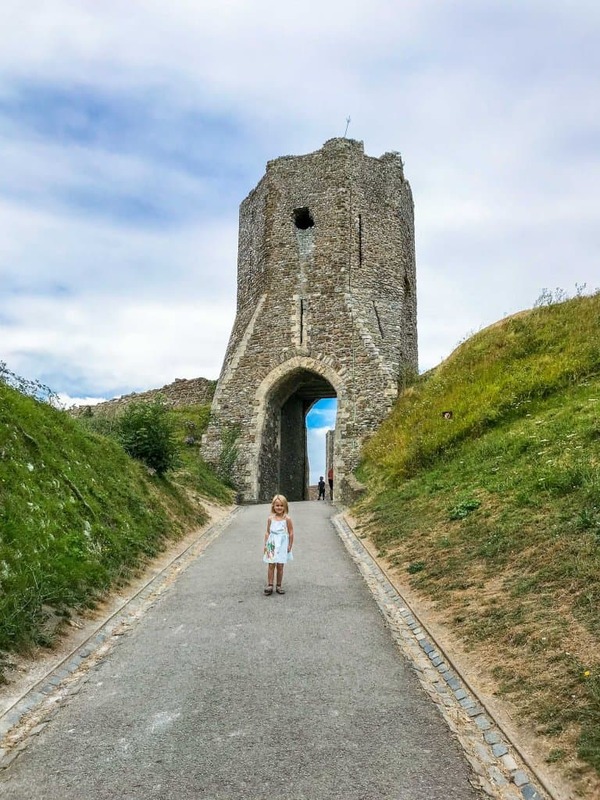 There are some stunning elevated views from Dover Castle and one of the main attractions is the underground tunnels, complete with a hospital! There are little port holes that look out to sea from the cliff faces. It’s really fascinating but our little ones were too interested in the sand, so I’m thinking we will go back in the future when they are a bit older. There are a lot of nice beaches to the East and West of downtown Dover. However towards the end of our day, we found ourselves in the main part of town. So we made our way to the beach to dip our toes in the water. It was so nostalgic taking my kids there. Especially with the traditional chippy and many sweet shops along the sea front. Even though I am from Ireland, Dover is similar to our beach town near Dublin. The kids played on the beach and we ate chips out of newspaper before heading home into the sunset. Everyone was fast asleep on the way back with full bellies and fond memories. This post is sponsored by Parkdeans Holiday Parks. As always all views expressed are entirely my own. 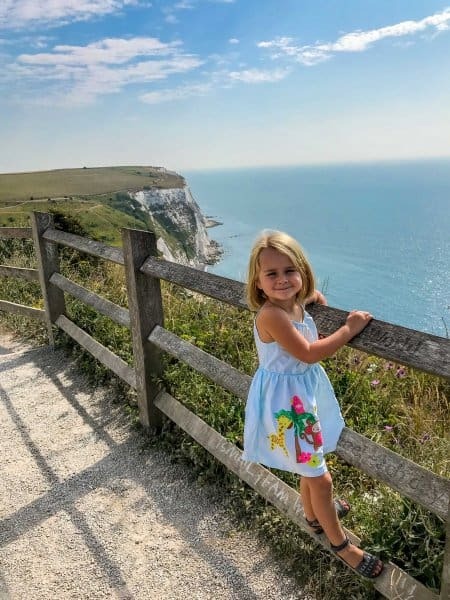 The post THINGS TO DO IN DOVER appeared first on Travel mad mum.